Over 69% of Americans between the age 35 and 44 have lost at least one tooth. That number grows even higher, hitting the 75% mark when you get to seniors over the age of 74. While many research replacement options for purely aesthetic reasons, there are functional considerations as well. Dental implants have the added advantage of mitigating most of the health issues associated with the loss of teeth. The crown is the visible part of a tooth. It is covered in enamel. Enamel, the white covering of teeth, is the hardest element in the human body. It is, however, prone to decay caused by bacteria and poor oral hygiene. The roots of your teeth differ from tooth to tooth. Molars have three roots, premolars have two, and canines and incisors have one root each. The root is fused to the jawbone. When a tooth is lost, the remaining teeth can shift to move into the gap, which by extension can cause the deterioration of the jawbone and facial contour. The dental implant procedure is a surgical tooth replacement option that seeks to entirely replace a lost tooth. A dental implant will provide replacement for both crown and root of the tooth. These replacements have the feel and functionality of natural teeth. The dental implant procedure is, however, a delicate process, and must be entrusted to highly-trained professionals. This implant is surgically attached to the jawbone. The gums are then allowed to heal naturally, after which a post, or abutment, is attached to the implant. The post, or abutment, connects the prosthetic tooth to the artificial root (implant). These implants are surgically placed below the gums and on top of the jawbone. The implants fuse to the bones as the gums heal. Dr. Owens combines years of experience with the latest dental technologies to ensure that the procedures are both successful, and comfortable for you, the patient. Dental implants are discussed in greater detail further down the page, but still, nothing beats old-fashioned consultation when it comes to health issues. Call us for more information on dental implants. Identifying A Candidate: Who Qualifies? Fort Collins dental implants involve the surgical attachment of a titanium root to the jawbone. The jawbone must, therefore, have enough mass to support the implant. The bones must also be strong enough to withstand the chewing action and pressure of the teeth replacements as they are used. Dental implants are not an option for every person, and the best way to determine if you are a good candidate is to have a consultation. 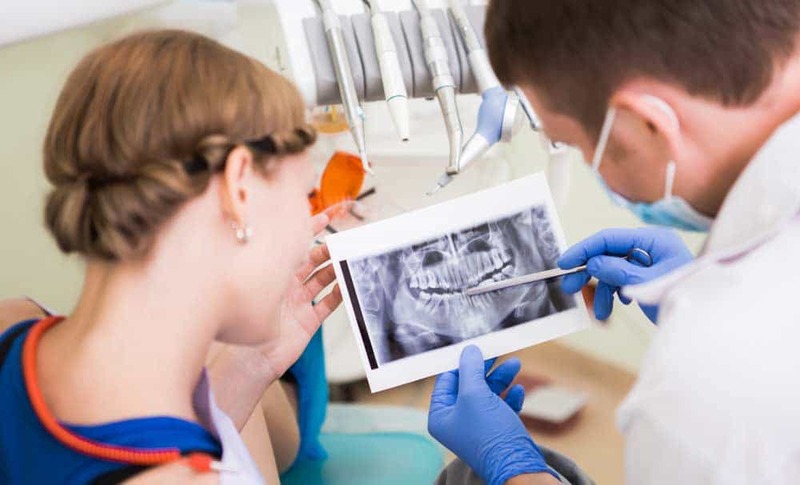 Here at Owens Dental, a 3D imaging machine is utilized to quickly, and accurately, determine the state of the jawbone prior to a dental implant. This will help determine if your jawbone has the structural strength to withstand the procedure, as well as maintain it’s strength over the years. Dr. Owens offers two alternatives for people in Fort Collins who do not qualify for regular dental implants, but still desire a repair for their missing tooth. Mini dental implants are structurally similar to regular implants but smaller. Regular implants have a diameter ranging from 3.4mm to 5.8mm whereas the diameter of mini implants ranges from 1.8mm to 3.3mm. Bone grafting involves surgically fusing bone fragments from other parts of the body to the implantation site, to re-enforce the bone. Artificial bones can be used in place of actual bone fragments, depending on the need. The transplanted bone may require several months to grow enough new bone tissue to support an implant. In some cases, however, the necessary grafting will be minor, and may be done on the same day as the dental implant. These are, however, special cases, the exception rather than the norm, and the process takes time. An ideal dental implant procedure can take anywhere between five to eight months. Be wary of facilities offering generalized dental implants in one day. The longer a tooth has been absent, the higher the likelihood you’ll need a bone graft. This is why Owens Dental encourages patients to opt for dental implants as soon as possible. Delays usually lead to the increased cost of bone grafting. The secret to affordable dental implants lies in mitigating the risk of side-costs associated with the implant process. Gum disease is the most common cause of tooth loss in the world. This condition also lowers the chances of successful dental implantation. Gum disease absolutely must be adequately addressed before dental implants are sought. The hygienists at Owens Dental are well-equipped to nurse your gums back to health before the any dental implant is placed. They can perform periodontal exams and diagnosis, as well as any necessary treatments before the dental implants are placed. Dr. Owens always recommends continuing with routine maintenance and cleaning appointments after implants have been placed to ensure the success of the implant. Placing dental implant involves invasive surgical procedures. A general health examination will help determine how well, and how quickly recipients will recover from the procedure. Chronic illnesses, uncontrolled diabetes, compromised immune systems, and radiation treatments may affect qualification for the procedure. The main aim of this step is to determine the ability of the jaw and gums to accommodate the procedure. 3D imaging and X-Rays may be used to assess the state of the jawbone. At this stage, if it is determined that the jaw bone cannot sustain the implant, alternative options are discussed and implemented. A bone graft lengthens the process by an average of three to six months depending on individual’s rate of recuperation. The surgical implantation of the titanium root occurs before the placement of the artificial tooth. Before the artificial tooth is added, however, the titanium root is allowed to fuse with the jawbone as the jaw heals. Individual rates of healing determine the time for this step. Some people will heal within a month while others can take upwards of four months. A post (abutment) is at this stage attached to the titanium root. The post connects the root to the artificial tooth. The artificial tooth is designed to match the original tooth and may take up to two weeks to create. Attaching the prosthetic tooth to the root is, however, a relatively short procedure. All it takes is a short appointment with the dentist and the dental implant is complete. In this case, the implant replaces an entire root and, therefore, maintains the general structure of the jawbone. Dr. Owens implants the titanium root onto the jawbone and gives the two time to fuse and heal. He and his team then design the prosthetic tooth to match the lost tooth and fix it onto the implant. Dr. Owens highly recommends the procedure for the replacement of molars and front teeth. This is the best option when more than one tooth is being replaced. Unlike the traditional fixed bridge, the implant-supported bridge does not depend on nearby teeth for support. Dr. Owens implants the implant-supported bridge in much the same manner as the single tooth implant. The implant-supported bridge, however, supports multiple prosthetic teeth, unlike the single tooth implant; which only supports a single tooth. This is Dr. Owens preferred approach when dealing with full-mouth teeth replacement. The dentures are fixed to the jaw, and provides all the benefits of natural teeth. With implant-supported dentures, implants are placed in multiple sections of the jaw and allowed to fuse with the jawbone for maximum support. A titanium bar can then be utilized to connect and further support the denture on these implants. We offer fixed dentures as well as a “snap on” alternative. Dr. Owens can help figure out which solution is right for you. Here at Owens Dental, we want to make sure that the fit ( both aesthetically and functionally) is absolutely perfect for the individual. To reduce the waiting period between visits, we work with an excellent lab right here in Fort Collins. The loss of an entire set of teeth is, usually, succeeded by deterioration of the jawbone and loss of general facial structure. This is why Dr. Owens takes time with full-mouth implant supported dentures. The extra work helps our team of experts to fully restore your natural smile, even after the damage to facial contour and jawbone integrity. Fort Collins Dental Implants Cost: How Much Does It Cost? Dental implants cost per tooth ranges somewhere between $2000 and $5000. That may seem to be more expensive than other tooth replacement options like dentures, but that is only true when comparing the upfront costs. When you factor in the long-run cost of the various options, a very different picture emerges. Dentures require frequent replacement, and lack the feel of natural teeth. Dental implants, on the other hand, are permanent. They also offer all of the aesthetic and functional capabilities of natural teeth. Despite the relatively high price, some facilities seem to offer these services at a fraction of the cost. Be very wary of such facilities. Cheap pricing is usually a trick employed by unethical offices, to land a quick buck at the expense of their patient’s well-being. To avoid falling victim to such groups, ensure that your dentist of choice is an AAID Credentialed Implant Dentist. These credentials certify that a dentist is knowledgeable and experienced enough to perform the dental implant procedure. It is also always a good idea to ask for references. Dental Implants Pros And Cons: What Are The Benefits To Dental Implants? Like every other dental procedure, there are advantages and disadvantages to dental implants. They are the most aesthetically pleasing and authentic looking tooth replacement option available. They are the best tooth replacement option when it comes to restoring the bone structure and facial contour after the loss of a tooth (or teeth). Dental implants are a source of extra support to the jawbone. They strengthen the bones and teeth. They do not rely on neighboring teeth for support. This means that they will not affect the positioning and/or strength of the other teeth in the mouth. They are the most comfortable tooth replacement option available. They restore the appeal of your natural smile. This goes a long way in boosting self-esteem after the loss of teeth. They preserve the jawbone’s structure and strength that would otherwise diminish over the years due to the absence of a tooth. They do not need specialized care. The basics of oral hygiene are enough to keep the implants at their best. It is a slow process. Temporary teeth placed on a retainer may be worn over the implant site during the procedure, but for the implant to be done properly, the entire process takes time. Every human body is different, and while most procedures go off without a hitch, certain complications can arise. Infections can happen after the surgery, and implants can fail. This is why it is important to do your homework ahead of time and make sure that you are a good candidate for an implant, in good general health, and only use time-tested and proven professionals. Remember, if it sounds too good to be true (implants in one day) then it probably is! Dental implants may necessitate the inclusion of extra work like bone grafting. Dental implants are an excellent tooth-replacement option. For many, the advantages outweigh the disadvantages and most of the limitations are also easy to mitigate. Employing the services of a proven professional like Owens Dental, alleviates most of the downsides associated with dental implants. In particular, the risks for infection are extremely low when professionals are used for this type of invasive procedure. The success rate of dental implants clocks in at over 90%. And again, please reach out to us if you have any questions regarding Dental Implants or, if you’re here in Fort Collins, schedule a consultation with Dr. Owens. Thanks for reading!